By Neil Murray , December 2nd, 2015. German tech publication Gründerszene have discovered in the German commercial register that the renowned New York based investor Union Square Ventures (USV) have recently led an undisclosed round of funding in SimScale, the Munich-based startup that specialises in developing a platform for complex 3D engineering simulations. "SimScale, the web-based simulation company, today announced it has closed its Series A funding round, led by Union Square Ventures with support from Earlybird Venture Capital and angel investor Axel Bichara. The funding will be used to accelerate its vision of bringing high-performance 3D simulation technology to designers and engineers everywhere. This Series A funding round follows a seed funding round led by Earlybird Venture Capital in November 2014." 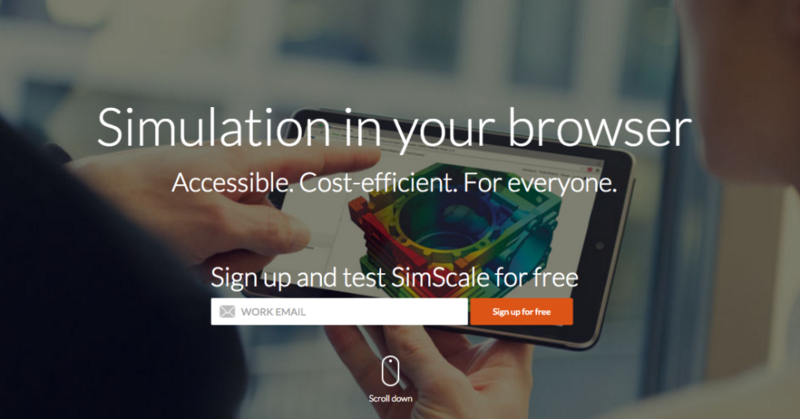 SimScale is the latest in a series of recent investments from USV in Germany, others include Clue and Auxmoney, and also follows the recent praising of the opportunities that exist in the European market from Partner Fred Wilson. USV now own 17% of SimScale, with Earlybird and angel investors also participating in the latest round of funding.